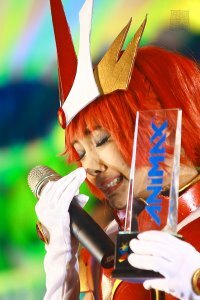 Included in the full contest mechanics of the Ani-mate Search is that the Grand Finals would be on the ANIMAX Carnival on December 9, 2012. Of course at the start of everything, I wasn't really dwelling on the mechanics for the final judging. I was more focused on the initial audition and what you must have in order to be a part of the 7 finalists. Only after being informed that I was a part of the 7 did I now really dwell on the criteria for the final judging. And so, the month-long preparation began! I was actually torn on what costume I would be wearing for the finals. Since I'm an avid fan of Vampire Knight, Yuuki Kuran was on top of my list. 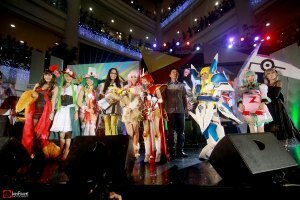 But, I wanted to make it [my finals costume] a really memorable one so I had to save the Yuuki Kuran costume for later. Next was Lucy Heartfilia and Erza Scarlet of Fairy Tail. Of course, a big part of not choosing one of the two is that I'm not that tall. 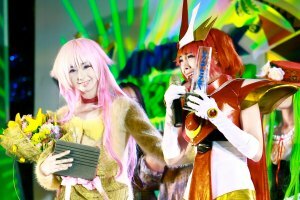 But both of them are still in my list of next cosplays. I just don't know when I can actually cosplay them so stay tuned! Then I went to the part of my list where all of the earliest anime that I watched and loved are. Namely, Gate Keepers, Sakura Wars, Fushigi Yuugi, and Magic Knight Rayearth. 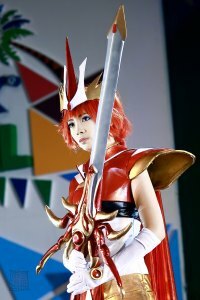 Magic Knight Rayearth is really close to my heart. When I was growing up, it was the anime that I watched on tv - one of my favorites along with other titles that aired at the same time. At first I chose Umi Ryuuzaki's Final Battle Outift. But after meditating for a few days, I decided on Hikaru Shidou's Final Battle Outfit. I actually made a risky decision on this costume. I ordered a wig on Taobao with 2 weeks left before the ANIMAX Carnival. Thankfully it arrived on December 4 - 5 days before the event [whew!]. While I was on my way to the venue, I was already anxious and nervous. I didn't know what would happen in the event so I was really uneasy. 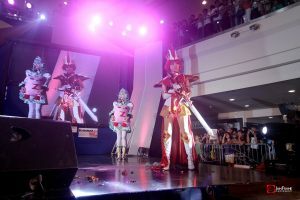 After changing into my Magic Knight Rayearth costume, all the anxiousness, nervousness, uneasiness increased by 100%. I was really tense. Plus, it was my first cosplay with an armor and weapon and I was wearing gloves so I was worried that my sword might slip. 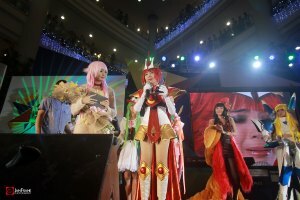 I kept praying backstage before the 7 finalists were called on stage that I don't mess up my cosplay catwalk. "If God puts you to it, He will get you through it"
When they were getting ready to call the name of the winner, I could feel my heart pounding really fast! My mind was BLANK. All I know is that I was really happy and all of the anxiousness and nervousness that I felt earlier was converted to overwhelming happiness. Tears just went down my face. Remembering that moment still brings me to tears. Fresh like it just happened yesterday. It was a surreal experience. My dream became reality. 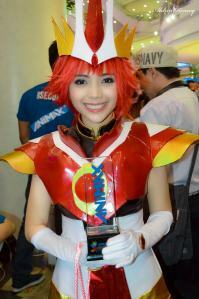 This is the last post for my ANIMAX Ani-mate Search Experience. 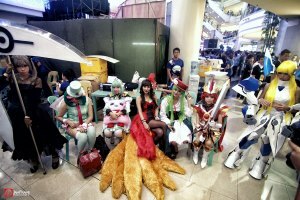 Next posts will be more fun and quirky posts about what's happening in the world of ANIMAX and of course about cosplaying too.